Warm, clear blue-green sea lapping long, sandy beaches… Families eating and laughing together over slow, relaxed dinners with good food and even better wine… Markets packed full of fresh-caught fish, locally made cheeses, and a rainbow of delicious produce… When you live by the beach in Europe, life is simpler, happier, and healthier. Below are five of the best urban beach towns to live in Europe, where Old World culture and beach living go hand in hand. Each town is small enough to be easily accessible to expats. They all offer warm weather. And spread across western Europe, they offer a variety in culture, language, and character. Located in Western France, Biarritz has great weather and a low cost of living. Spring rainfall is still plentiful, but summers are more likely to be warm and dry, and sunny days are usual throughout the fall. On average, Biarritz gets around 170 days of sunshine annually. Biarritz was made famous by the Empress Eugenie (the wife of Napoleon III), who attracted fashionable clientele to the resort. Queen Victoria and Edward VII, among others, slept in Eugenie’s villa, now the Hôtel du Palais. The lower promenade, along the boulevard du Prince de Galles, leads past the foaming breakers that give the coast its name—Côte d’Argent, the Silver Coast. The lighthouse on the summit of Cap St. Martin has a splendid view. A seaside resort, Biarritz has one of France’s largest beaches and offers the best surfing on the French coast. Because of the good weather, surfers continue to chase the waves in the winter and the locals can be seen taking daily strolls along the sand. IL writer Gigi Griffis spent a winter month in this beach town two years ago. Her budget came in at around $1,700 for the whole month—and that included renting an apartment two blocks from the beach and daily visits to the many crêperies and bakeries scattered around town. “For me, this is the little-known secret of Europe: Its old-world charm, glamorous beach towns, excellent healthcare, and world-renowned food can also come with temperate weather and a reasonable cost of living, if you know where to look,” she says. Conquered at one time or another by ancient history’s greatest maritime powers, Sicily is the Mediterranean’s largest island. The football at the end of Italy’s boot, it’s almost as far south as you can travel in Europe…it’s actually closer to Tunisia than to Rome. On the east coast of Sicily, the town of Taormina is mesmerizing. Built on a mountain plateau, this medieval eyrie is the stuff that picture postcards are made of: steep streets climbing upward in steps, beautiful terraced gardens, and tiny piazzas filled with flowers, shrubs, and slumbering cats. 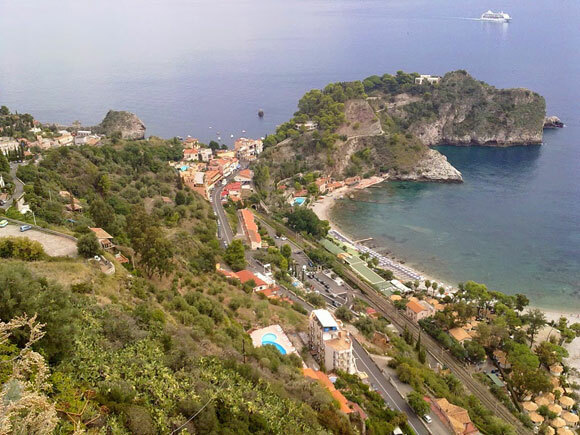 Stairways and a funicular also plunge toward the coast and Taormina Mazzaro, with its small beach, clutch of restaurants, and Isola Bella, a bijou island nature reserve. Across the sea, the Italian mainland province of Calabria shimmers in the sunlight…this coastline is ripe with legends, including that of the one-eyed Cyclops. In Taormina’s upper town is a wonderfully preserved Greco-Roman theater, where all kinds of performances are held in summertime. The views from here are incredible. Sit on its ancient tiers of stone seats and you can see Mount Etna. Down below, towns such as Letojanni and Giardini Naxos are strung out along the shimmering coastline. As well as dramatic surroundings, the upper town has dozens of quirky bars, designer shops, and restaurants. It’s a nice place for a winter break. On Christmas Day, Santas stomp down Corso Umberto giving out free presents of panettone (sweet loaf bread) to children. A lot goes on…art exhibitions, people thumping out carols on pianos in the middle of the street, free classical music concerts, and tastings of cassata, Sicily’s famous sweet cake. “The pace in Sicily is what I would call rural Mediterranean. Here, domani (“tomorrow” in Italian) is a common answer for many questions,” says expat Benjamin North Spencer of the island he calls home. The capital of Portugal is studded with ancient Moorish quarters and bordered by lovely beaches. Its National Museum of Ancient Art houses one of Europe’s best collections. Outside Lisbon are palaces that rival the châteaux of the Loire in France. And at the heart of the city are winding streets that pass medieval churches and inviting cafés. Nearby is a fishing village that has been turned into a sophisticated resort, Cascais. A fine sandy beach lines its beautiful bay. Cascais has had an elegant air since 1870, when the court first moved here for the summer. A royal palace was constructed in the former citadel and is still used by the head of state. This popular seaside town is only about half an hour by commuter train or bus from central Lisbon. 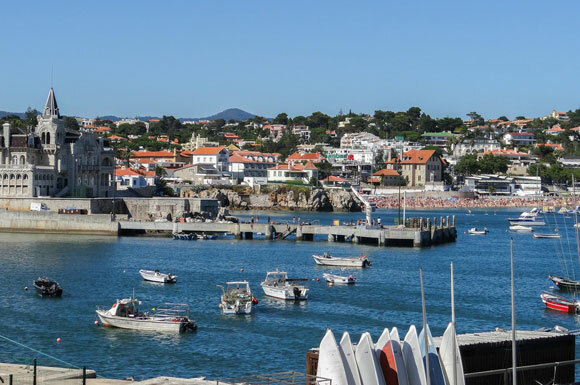 The neighborhoods near Cascais’s coast have an old-style village feel, with tile-roofed houses and cobbled streets. A busy tourist zone near the train station is lined with shops and colorful outdoor restaurants, but move beyond this area and the old town is peaceful. Head inland just a few blocks, and you find a modern city with highrises, shopping malls, and modern apartment buildings. Cascais has a sizable expat population, so between the British expats and the town’s lively tourism, you can get by easily in English. Short-term rentals abound here, so if you want laidback beach life but also want to be within easy hailing distance of a metropolis, Cascais is a good option. 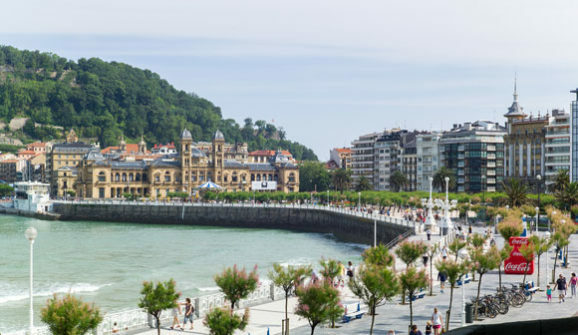 San Sebastián, just an hour’s drive from Bilbao and 12 miles from the French border, has been a chic beach resort for more than 100 years. Today it is also the high temple of Basque cooking, one of the richest culinary traditions in Spain. San Sebastián’s old town, the parte vieja, is a warren of narrow streets perfect for wandering—the more so as the area is filled with tapas bars offering scrumptious creations that you can wash down with the local, slightly-fizzy white wine, txakolí. Much of the rest of central San Sebastián is street after street of Belle Époque buildings, in creamy stone. Here you find apartments, high-end boutiques, the cathedral, the theater, and more. San Sebastián’s beaches include its most famous, Playa de la Concha. Its perfect half-moon opens up to embrace the blue Atlantic. The bay stretches from City Hall to the Pico del Loro (Parrot’s Beak). Walk along the beach’s golden sand or, if you prefer, along the Concha promenade. In the center of the bay is Isla Santa Clara, with a small beach, an unusual lighthouse, picnic tables, and a bar. The island is so close you can swim there from the bay all year round. In short, the city’s layout, with its sprawling pedestrian areas and its seaside promenades, makes it the perfect place to explore on foot. San Sebastián offers a range of activities for everyone. Croatia is one of Europe’s lesser known gems—but one of its most beautiful. Located on the Adriatic Sea—the northernmost arm of the Mediterranean—it enjoys a humid subtropical climate with average highs of 63 F to 72 F from April to May. Because it has flown under the radar of most international tourists and expats, it also remains one of Europe’s most affordable destinations. This is a country where you can cut back on the budget without sacrificing any quality of life. In the city of Split, the country’s second-largest city, you’ll be in the center of Croatian life. The town is packed full of restaurants, bars, stores, inside and outside its grand city walls. If you’re a sailor, a scuba diver, or any kind of water-sports enthusiast, this could be your dream destination (Split has four marinas and numerous major sailing events). But don’t worry if you’re not a sports fanatic. 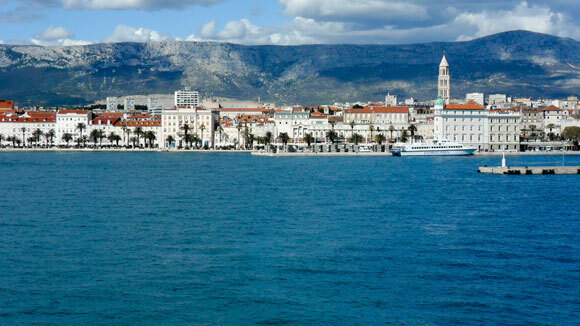 Split is a university town, too, and a lively cultural center. There’s a national, and several archeological museums. The city has plenty of festivals, including the February carnival, the summer festival (an international festival of opera, concerts, drama, dance, and street theater, held regularly since 1954), and the pop music festival in June. And if you want an away day, plenty of daily ferries cross to the idyllic islands of Brac and Hvar.